The Rubin Museum’s 2019 exhibitions and programs highlight multiple perspectives and seek to empower visitors to think about their role as individuals and as a collective in creating, maintaining, and challenging existing systems of power. Historical and contemporary artworks and perspectives will complement one another throughout the year, opening up the possibility for new dialogues and juxtapositions. The force of religion to claim political power is a global phenomenon, and Tibetan Buddhism once offered such divine means to power and legitimacy to rule. Through more than 60 objects from the 8th to the 19th century, the exhibition explores the dynamic historical intersection of politics, religion, and art, illuminating how Tibetan Buddhism presented a model of universal sacral kingship and how images became a primary means of political propagation. By placing Himalayan art in a larger historical context, the exhibition sheds light on an important but little-known aspect of power in the Tibetan tradition. “The Long Table,” an open-source participatory project conceived by artist and activist Lois Weaver, will provide a forum for visitors and community groups to engage in a series of conversations on sharing power, structured by etiquette provided on “menus.” Audience-driven discussions will occur throughout the year, and the table will be free and open to the public for pop-up discussions. Prayer wheels are ritual objects containing thousands, even millions, of written prayers and mantras. Inspired by these objects, as well as our own power to create positive change, this exhibition brings together select examples of traditional and contemporary art to illuminate the relationship between our intentions, commitments, and actions. International artists Monika Bravo, Alexandra Dementieva, Youdhistir Maharjan, Charwei Tsai, and Scenocosme take the Tibetan prayer wheel on a conceptual spin, with their works manifesting in visible and tangible forms the power of intention, commitment, belief, repetition, and accumulation. 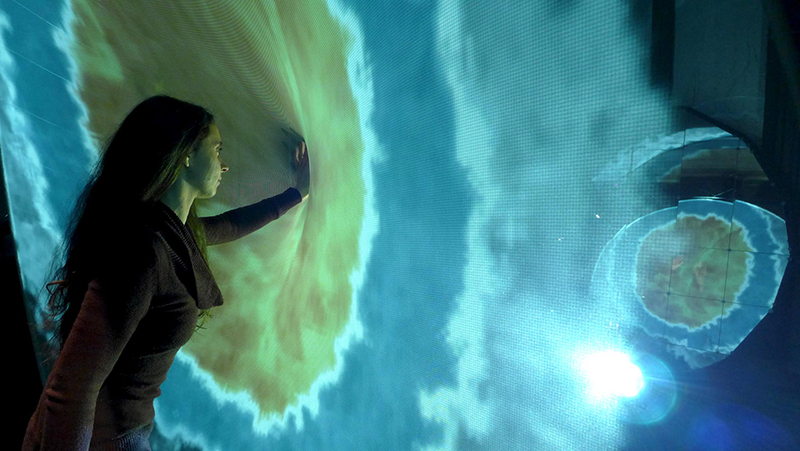 Visitors can empower their own intentions by turning The Wheel of Intentions, an interactive installation in the lobby created by data artist Ben Rubin, Potion Design, and the Rubin Museum. Individual intentions will join those of other visitors as they travel up the spiral staircase and take visual form within “The Power of Intention” exhibition. Concepts from punk to pacifism converge in a group exhibition that reflects upon the themes of social consciousness, transgression and subversion, which are presented through a wide array of media including painting, drawing, video, sculpture and installation. This timely exhibition invites us to look beyond the surface and consider art’s transformative power to influence society and culture through the perspective of U.S. and international artists. Select objects from the Rubin Museum’s collection will be highlighted within the context of power. These works include representations of deities associated with female power and ritual objects that symbolize power. An audio tour and exhibition guide will accompany these highlighted objects and offer additional context. A special installation gallery will focus on Buddhist relics as power objects, featuring a collection of gems discovered in an ancient Buddhist stupa at Piprahwa in northern India. These gems are considered “contact relics”—objects of power believed to possess an enormous amount of blessings. Visitors will learn about their significance as well as the discovery of the stupa and its contents. During the annual Brainwave series, mind scientists will meet notable experts from all walks of life to question the idea that power is in the mind. 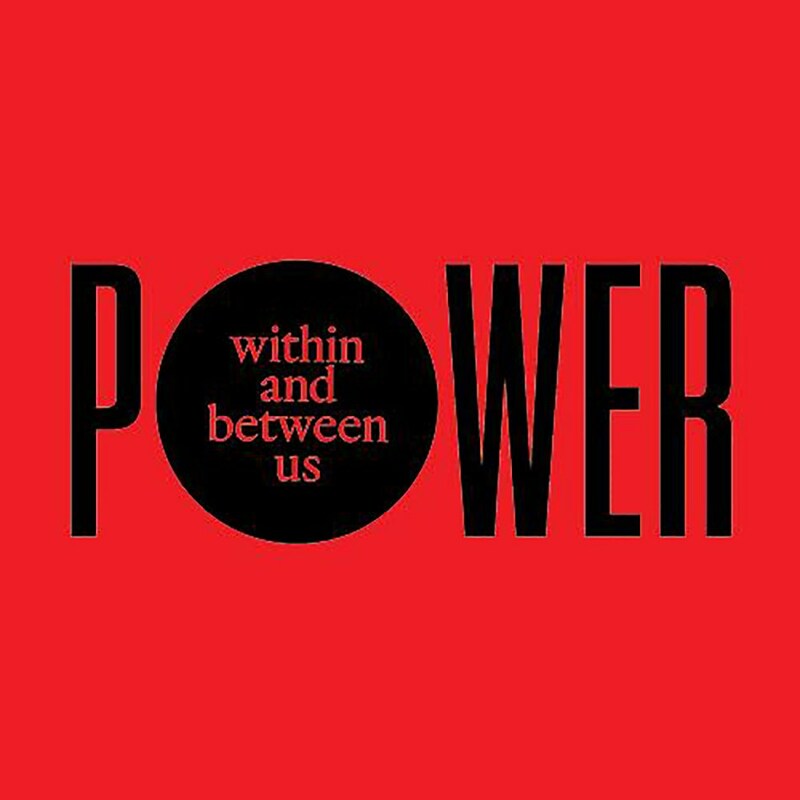 Visitors will be a part of expanding the conversation on the intricacies of power: what it is and what it means. Summer talks and workshops will focus on giving people the tools to commit to intentions and enact change in their lives. Experts and facilitators will walk participants through the course, helping them realize their goals, stay committed, and find community along the way. Visitors and expert guests will look at countercultural practices and how they have the potential to upend normative systems and ways of thinking, sometimes leading to a form of liberation. Artists, writers and thinkers will be invited to engage in onstage conversations, subversive suppers, and radical takeovers of the Museum, all designed to challenge visitor behavior. Mindfulness Meditation every Wednesday at 1:00pm, Practice the art of attention in these weekly meditation sessions led by guiding teachers Sharon Salzberg, Tracy Cochran, Kate Johnson and other guests. Each session is inspired by a different work of art from the Rubin Museum’s collection. Awakening Practice: Morning Mindfulness in the Shrine Room. Contemplative practice has its roots in the living traditions of the Himalayas. Join Tashi Chodron and guests in the Shrine Room for a morning mindfulness session, which explores the connections between Himalayan culture, art, and practice. Each forty-five-minute session includes twenty minutes of guided meditation that will explore different approaches, including mantra, mudra, and mindfulness. Drop in for just one session or enjoy them all. Festivities and engagement activities take over the Museum for this cocktail event and thematic celebration. 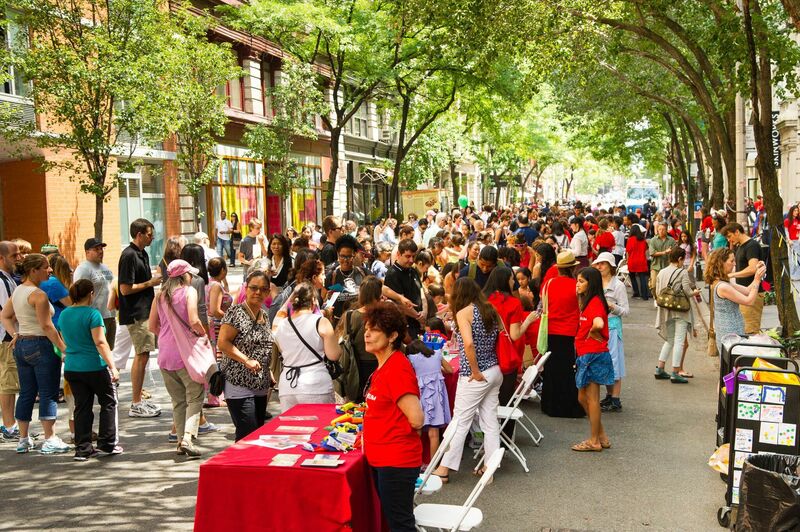 The Rubin Museum takes over 17th Street for a free, festive celebration focused on empowering families, with performances, art making, gallery activities, and activities led by community groups. At the annual anticipated event, visitors sleep in front of a specially chosen work of art, learn what their dreams have to say, and experience the power of their own subconscious minds. The third issue of Spiral, a free annual publication, will amplify the theme of power while going a bit further afield, featuring interviews and essays by scholars (Donald Lopez, Karl Debreczeny), influencers (Kasia Urbaniak), artists (Sanford Biggers, Marina Abramovic, Kembra Pfahler), and practitioners (Kate Johnson, Lama Tsultrim Allione). Those interested in Himalayan Heritage can join an informal group that meets on the first Wednesday of the month. Events are hosted by Tashi Chodron, a Museum educator and expert on the region who works at the Rubin and other organizations for the preservation of Tibetan culture. Did you know that entrance to The Rubin is Free for Seniors on the First Monday of each month.